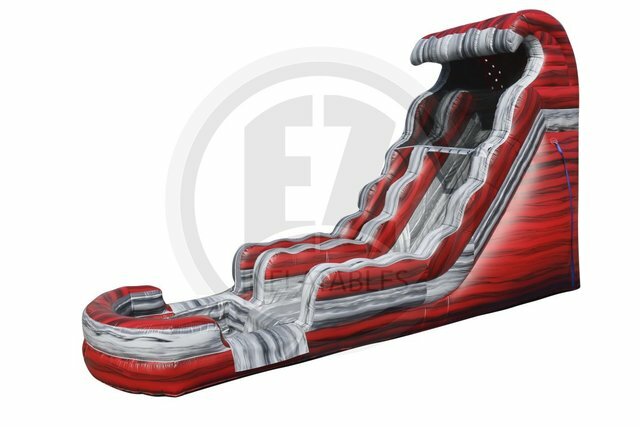 18' Ruby Red Crush Water slide features a 18' tall giant single lane inflatable water slide with a splash pool at the end. Once at the top of the awesome water slide, the steep angle will have your adrenaline pumping and wanting more! Over 50' of water slide fun!! !